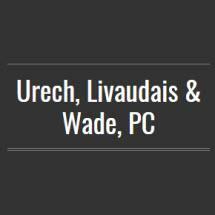 The law firm of Urech, Livaudais & Wade, PC is located in Daleville, Alabama, with two attorneys in the firm. They provide a broad range of legal services to individuals and business clients throughout Southeast Alabama to include Fort Rucker, Enterprise, Ozark and Dothan, as well as the rest of the state of Alabama. General litigation practice - accident and personal injury, family law - divorce and custody, criminal law. Former military attorneys handling military law, civil service labor actions, military contracts, and veterans appeals. Our attorneys represent clients in every level of state and federal courts.